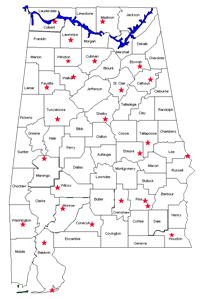 The ARWA is the leading water and wastewater training organization in Alabama. We provide water and wastewater operator certification test preparation schools in many locations to fulfill utility needs. We employ many water and wastewater contract instructors who are qualified to conduct these classes which cover all Water and Wastewater Grades. Certification Schools are held for 30, 60, and 90 hours of study, depending upon the Certification Level. You can read more information in the Certification Training section of the website. Continuing Education Training, needed to maintain certification as well as the learn valuable skills, is offered Statewide through the Association. Registration for classes opens 3-6 weeks before the class date at which time you will be able to register online, by mail or by fax. The Training Calendar is updated as new classes approach so check back. A Trenching/Shoring Safety & CPR Basics Training Session held in Alexander City is an example of our CEH training program. Twenty two water systems were present represented by 52 attendees. 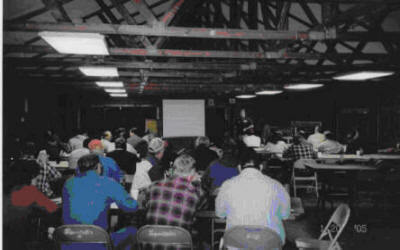 A total of 7.5 continuing education hours were offered to assist with operator certification renewals. If you need training or assistance that you don't see listed, complete our Training Survey. We want to assist you. 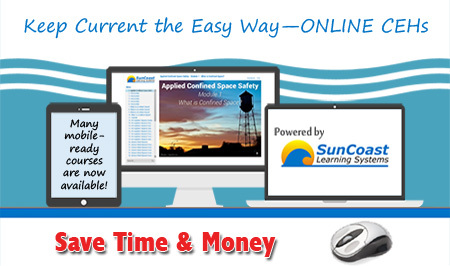 SunCoast Learning provides quality online training, written FOR water and wastewater professionals BY water and wastewater professionals. Learn more in the CEH Training section for Online Continuing Education Training.